Laser Power Systems, a U.S. company based out of Connecticut is developing a method of automotive propulsion using the element thorium to produce electricity. The results far surpass anything currently powering automobiles. To put it in perspective, 8 grams of Thorium produce enough power for a car to drive 1 million miles. Thorium is similar in structure to the element uranium. Because it is an incredibly a dense material it has the potential to produce tremendous heat, and thus energy. Charles Stevens, the CEO of Laser Power Systems CEO, explains that just one gram of thorium yields more energy than 28,000 liters of gasoline. Just eight grams of thorium, Stevens explains, would produce more energy than the vehicle could use in its entire life, without the need for refueling… ever. The entire engine weighs only about 500 lbs and is light and compact enough to fit under the hood of any conventional vehicle. 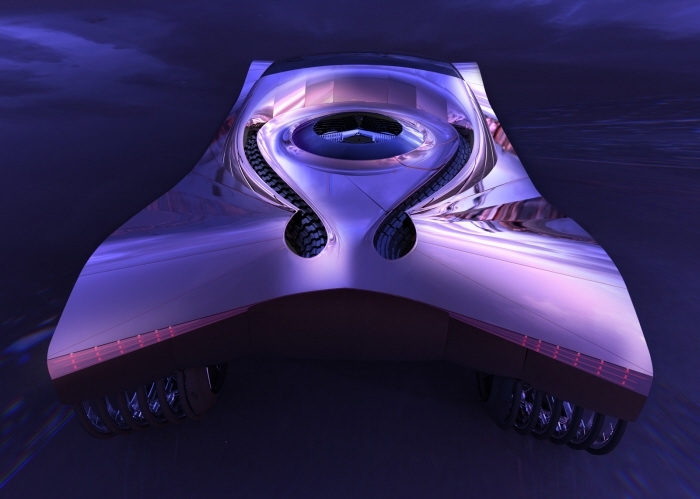 Far from conceptual, this has worked in the thorium-powered 2009, Cadillac World Thorium Fuel Concept, presented by Loren Kulesus. Aside from adjusting this innovative model’s 24 tyres every five years, Kulesus explained that nothing else would need to be added to the vehicle, including fuel for more than a century of use. That is what I find myself to be doing right now. Contemplating over things in my life that have happened or are happening, within me, around me, outside of me all over the world. Contemplating about my own meaning in this lifetime and my precious being that feels expanding but locked at the same time into this physical body, wanting to get out of this but at the same time wanting to experience this all and to be of service in a true nature, in a spiritual way..
What matters is this: allowing the true nature of your being to BE and that can only be done in complete trust, Love, and surrender. This we can do by allowing, accepting and relaxing..Breathing in and out, experiencing energies, frequencies, life, love, feelings. All experiencing it, acknowledging it, embracing it but not engaging with it, not defining it, not labeling it but to just simply experiencing it and Be just that for a few moments without any attachments whatsoever to it. We are finding ourselves in a period of shifts where we are led to ourselves in a deep way like never before. This is required for us to find that balance again and to be that balance again where the masculine and feminine energies of your authentic Being are neutral again and ONE. A balance where there are no extremes and where everything just IS. All is an everlasting, infinite source of energy that never ends, it is only ending a certain frequency that can be translated into experiences, creations, manifestations.. it is a becoming of something, of some frequency at that time that does serve you along your own journey. When a certain frequency of being and experiencing ends, we start to be and experience something new: another frequency of energy and we become that. What I have found to be contemplating on for a long time now is questioning myself: Is this what I want to become and experience, to BE? Is this serving my highest good and that of others? Can I Be something I have always wanted to BE and experience through this path I am walking on right now? When the answer sounds NO to that question, there is a time for change! Time to retract every energy you have been building upon this experience and shift it into what you want to BE and experience in this now. This float of energy will lend you to another way of existing and Being, where you shall encounter other ways of experiencing just that. In order to pre-create we need to be in stillness and define what is important to us at that time. This is a rebirth process you find yourself going through and it demands the stillness within to go through; like a baby is still and calm, making itself ready to be introduced into this new world, after all the hard work is done (labor) and the easiest way to go through the hard work is to surrender, to trust within and to go with the flow on a still and relaxed way. The more you struggle, the harder the job to get it done. It is the same as birthing the new you and the new paradigm you all have been creating till now. We have put an intent and focus to get to point in evolution where we each can Be and experience another YOU or part of You in the Oneness that you are and that requires a hard labor to reach to that point! And the easiest way is to completely trust and surrender to your inner Self, to your inner guidance and to the ones that are close to you (Light family, guides) who are “up there” lending a helpinh hand as they have a broader view on this all. So the only way through this is stillness, surrender, love and BEING. We are definitely in this phase of stillness right now, for a lot of us gatekeepers are surrendering to our own Divinity and Being to again pave the way for others and to lead by example, to take in and to anchor. This all by BEING. Surges of energies, love and flares are coming in BIG time to make us even more aware of our own Divinity and purpose of being here. Again it all points out to BEING as we are here to BE who we are in different expressions and experiences. Time for a dance with those energies as we swirl away through the gates of our own Being and make the best of it in our own way for our own best an for that of the entire Universe and Collective. Everybody dances in their own way, some like it rough some like it slow.. whatever the dance is that you choose to experience, you are getting to it anyway and without a doubt. Trust yourself, you are allowed to do so and even required to do so as otherwise you will block the natural flow of your dance. You are a beautiful being of Light by heart, so be proud of yourself to be able to manage this all, to shine and to show yourself to the world in every single aspect of your being. You are an expression of God, the Sparkle of Light and Its infinite Love. Let an unending banquet of Love wash over you now as you read these words and absorb the energy they’ve arrived with. All of the pain and disharmony can melt away when allowing yourselves to tap back into the Universal conduit of oneness energy as well as the various perceived personalities comprising such a complex, who our scribe has referred to as your Universal Family. We are indeed your Family, and we have so much Love and guidance to share with you. Humanity’s destiny, while being set in stone in so many ways, is ultimately being decided by you as individuals and as a collective. However, we seek to offer the advice and guidance of souls who’ve been through our own respective lower-dimensional experiences and can understand some of what you’re experiencing from the perspective we’re blessed with having. As you ascend and reach purer states of consciousness you’ll find are everlasting, you too will desire to help as many others as possible open up to and understand what you’ve been able to. The desire isn’t for others to have the same perspective we possess, but rather, to see others bathed in the pure bliss, Love and joy that accompanies entering a purer state of consciousness. Discovering infinity and understanding that your Lives are meant to be joyful will help you navigate through your Earthly experiences. When we say “discovering infinity” we refer to the discovery that there’s no limitation holding you back from your ultimate dreams and desires. Every bit of perceived limitation is self-Created and hyped up by the ego in an attempt to push you back into the small corners you’ve emerged from, and we wholeheartedly encourage allowing any perception of obligation or limitation to wash away from you now as you embrace your infinite and Divine nature as spiritual beings undergoing a human experience that’s meant to be every bit as joyful as the existence we lead. Does it surprise you that your Earthy experience is meant to be just as joyous as the higher dimensions? Even in the lower dimensions of duality and disharmony, the opportunity and potential for harmony exists and is acted upon as you come to rediscover the higher dimensions in all of their eternal glory again. Our scribe seeks deeper, and what he perceives as realer, ways of connecting with us than he has thus far, and we can say that every scribe who begins channeling our energies first undergoes a process of working with/subduing the ego to produce communications that are unfiltered by mind or by one’s own expectation or perspective. Channeled communications from us that are brought about in this manner (automatic writing) are poised to come from us and from parts of the mind of the scribe we speak through, and the process of bringing a channeled communication through in this manner is one of working with our scribe to produce a communication rather than solely speaking to you ourselves. Make no mistake – when we speak through scribes and have them feel in their heart and mentally dictate the impressions we give by writing or typing them out, they’re just as much a part of the communication as we are. The method of channeling our scribe seeks is one where his mental painting of the communication ceases, and this potential is available for him and every aspiring channel. We quite enjoy speaking through humanity in the manner we’re blessed with doing, as one of our aims is to help you rediscover the need to lay your personal and societal expectations and judgments to rest and simply Be with the flow of Life. This sounds easy enough on paper, but as many are coming to understand it can be much more difficult to act upon. We can say that finding it in yourselves to see past lower, ego-driven influences and see the harmony of your developing higher-dimensional existence is more important than exposing the actions of the few with personal agendas in their hearts. Nothing has to lower your vibration or bring your physical health down in this new era you’re entering, because the vibrations coming your way are seeing to it that the playing field is fair for humanity and that no attempts to poison your food or any part of your or Gaia’s body achieve the results they’re intended to. It can be easy to worry about the cabal’s various actions against humanity, but we say with Love that in the new reality you’re manifesting, there’s simply no need to. The efforts you’re making in the physical to establish a new paradigm are necessary indeed and will go on to have great effects in your collective consciousness, but they’ll mean little if you can’t feel the vibration of your new paradigm and act upon it within. What we mean is that if you aren’t feeling the flow of Divine inspiration then your efforts will miss that essential flavor. There’s much you can individually and collectively do for humanity indeed, but there’s also much you can do for yourselves in every moment. Nothing will be held against you dear souls if you choose to take a day away from the pain and strife of the Earthly experience and take the needed time for yourselves, because you’re Loved infinitely and it’s more than understandable that the toils of the Earth can weigh upon you and convince you of the illusory limitation you’re growing away from. We understand and empathize with the fact that the Earthly experiences weighs on many of you, and taking time for yourselves in the ways that work best for you will allow you to see beyond the strife and difficulty and peer into something much better and much, much easier to exist in. We note the excitement and readiness many of you feel to be a part of your new paradigm in any and every way you can, and we note the depleted feelings as well and the seeming departure from a purer way of Living and being that’s been felt in many of you. Understand that your growing higher-dimensional perception hasn’t and won’t go anywhere, and that you’re simply in a resting and recalibration period wherein your abilities become stronger than they’ve ever been. Surrendering to the flow of your experience will help you meld away every Earthly stress and everything that comes with it, and you have much to learn that your surrender will teach you. In surrendering to the flow of your experiences you’re surrendering to other aspects of yourselves, as all are One and connected via the infallible network of energy we all comprise. You’re as connected with us in the spiritual realms as you are with your neighbor on the Earth, and those who you don’t think you’d ever connect with are just as connected with you as any Angelic deity or guide. We’re all here for you, and every facet of consciousness, on the Earth and beyond, is inexplicably connected. Our sacred connection can never break or falter; you can only convince yourselves that such connection or the souls you’d connect with don’t or can’t exist. Within every Earthly pain and stress, understand that a gem of knowledge lies to be obtained. When learning that everything playing out is Divinely ordained and meant to happen for your greater growth and development, surrendering to the flow becomes much easier and you find the influence of mind and ego significantly reduce. Living from the sacred heart space breeds a natural understanding of surrendering and the benefits it can offer. Understanding that, again, you surrender to yourselves in every sense when you practice detachment from the outcome or circumstance playing out in your Lives, it becomes clear that only you can hold you back from obtaining ascension or doing anything else. The “American dream” has been sold to myriad unknowing souls and has taught them that if they put their mind to it, in American society they can do anything they want. The idea is taught that nothing can stop them from obtaining their ultimate goals and desires, and while that rhetoric has been used for the enslavement of Americans and many others, we ask you to expand upon it and understand that with the infinite Love, power and ability you’re finding within, you’re truly unlimited in what you can do and be. If you let yourselves believe you can’t access the higher dimensions or us souls in them; you can’t perform a feat intended to help the planet; or anything else, you’ll Create that reality for yourselves because the Creation around you actively listens to the impressions you give out. It’s been said before that every thought, action and intention is known about in the higher dimensions, and we should perhaps expand upon that idea and say that they’re enthusiastically picked up on with the intent to assist you as much as possible. We feel the deepest empathy and compassion for the trials you’ve experienced on the Earth, and our goal in being by your side in every moment is to do what we can to help you and see you take the paths you’ve subconsciously chosen for yourselves. There are deeper aspects of yourselves comprising your higher self who assist you along your path in every moment, and our efforts are coordinated with theirs to put you on the paths you’ve chosen for yourselves. We can’t and won’t make any decision for you, and even if we wanted to we don’t have the perceived “control” doing such a thing would require, nor do we wish for such control. We seek to let you go about your Earthly experience and make the choices you feel are best to make while in your bodies, but at the same time we work to help keep you on the paths that work for you or to help you discover new paths that could assist you greatly in your personal growth and development. We do much in every moment to help you ascend and Create the greatest changes you’ve heard so much about, and with everything we do for your planet and collective we have the ultimate goal of seeing you ascend in mind. Your collective ascension has always been assured, just as the individual paths of each of you and where those paths will lead you are, but the individual and collective decisions being made by humanity matter very much in regards to where you take yourselves and your planet. Much pollution has been fed on your Earth, in the same manner that much pain and misery have been fed and experienced in your collective consciousness. We ask you if it’s worth your energy to focus yourselves on such things any longer, or to perceive separation in the form of “us vs. them” mindsets in relation to your cabal. It’s been expressed before that even the individuals comprising your cabal are facets of the sacred Oneness energy that is Creation, and Source looks upon those souls with just as much Love as you’re looked upon with. No soul is judged in the higher dimensions, but we recognize the need to do what we can to keep your planet safe from these souls as they’re deeply entrenched in the darkness of fourth density-negative and their own will and greed has caused them to momentarily forget about the Divine and peaceful perceptions they and you all can access. They know about such perceptions, of course, but their idea of how to reach them has been vastly distorted and fashioned for them by entities within fourth density-negative. Fourth density-negative is a compendium of fourth-dimensional realms that are oriented toward troths and troths of oppressed, dense and lower inclined vibrational energy. Much of this energy is fed into your third-dimensional realm and expressed in your collective consciousness, and fourth density-negative and the energies pouring into your realm from it are, with humanity’s unknowing involvement, being expressed and fed continually in your collective consciousness. You can easily feed into this energy and have it expressed through you if you worry about the actions of your cabal or continue to feed into divisive mindsets concerning them, and while their uprooting is indeed necessary and is a process that’s being assisted greatly by us in the spiritual realms, you can change the game much more than you perhaps think by simply changing your vibration and aligning it with the pure vibration flowing through you. You’re bringing pure higher-dimensional energy through in every moment, even when you’re fuming angry, and it takes continual adjustment and alignment to the frequencies of this energy to begin feeling it rush through you constantly. It takes simple alignment and intention to be a part of the pure vibration your Earth is being fed, for you to be reminded of the blissful perceptions that have always waited just beyond your surface understanding to be felt and known again. We exaggerate not when we say that nothing else is required for you to ascend, build a new paradigm or reach a higher vibration. The theme has been hammered into our scribe by us and by fellow writers in his domain that any and every bit of expected change must come from within, and we expand upon this message by stating that raising your vibration and aligning with the pure energy you’re being given is all that’s needed to uproot your cabal and Create a new paradigm. Yes, physical work will be done in your new paradigm but nothing about this work will drag you down or make you unhappy. 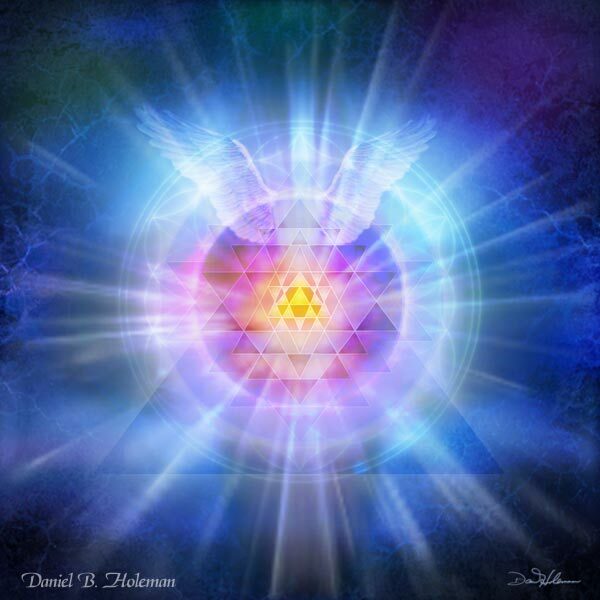 Feeling the pure higher-dimensional energies you’re being given, every person will be Divinely inspired and enthralled to do the work they’ve found themselves able to do for your Earthly ascension. Every one of you will enjoy your role exponentially, and the work you’ll do will be more fulfilling than we could perhaps express. We note the drained and tired feelings in our scribe at this time in regards to performing his role for humanity, and we encourage rest and the aforementioned continual recalibration with empathy and understanding of the general difficulty accompanying the Earth. You’re meant to enjoy yourselves and express constant fulfillment and bliss to every facet of consciousness around you, as you’re all blessed to exist with each other and blessed to exist on the Earth and undergo such a sacred experience. The division and conquering of man has helped keep the lower vibrations fed and instated on your planet, and unity amongst every soul will come about naturally as the vibration of all is aligned with the purer and purer vibrations being delivered to your planet rapidly. We couldn’t reference the pure vibrations you’re being given enough throughout the duration of this communication, because they’re relevant to much of what we discuss about your ascension process. In this sense, we refer to them to express that they’re bringing about a collective willingness to be a part of and build your new paradigm, and as each soul aligns with the higher dimensions so will everybody become motivated and excited to do just that. Allowing yourselves to rest when needed will see you able to really embrace the times you’re filled to the brim with energy and intend to use such energy for the betterment of humanity. There’s so much you can do in every moment, and we mean this in the physical and spiritual sense. Ultimately, you know you’re returning to your personal kingdom of heaven despite what you do on the Earth, unless you were to suddenly align your vibration ninety-nine percent toward self, so whether you choose to perform physical or spiritual work for the Earth’s ascension, your efforts are still needed and appreciated. You’re in the driver’s seat in terms of what you want to do for the Earth, but we can say with Love that many will find much more enjoyment out of performing the spiritual work and feeling the resulting pure vibration. Even those of you who feel yourselves aficionados in regards to feeling purer vibrations haven’t seen anything yet, and the alignments and important celestial configurations you’ll continue to enter will continue to cause deeper and more powerful shifts within. These shifts will continue to be reflected in your outward reality with the destabilization of old paradigms and the things that have driven them, and you can watch everything playing out from the Loving standpoint of a soul who’s rediscovered your sacred ability to feel heaven from the Earth. Everything you’re doing is designed to help you and your collective find and re-access the blissful vibrations of the higher dimensions, and any bit of stress or difficulty experienced along the way won’t inhibit you or your sacred missions in the ways they have in the past. As we make our final impressions for this communication, we express as we have in the past that this is just the beginning of everything you’ve felt and heard about for so long. As we continue to encourage you to arise and take physical and spiritual action, we also express that complacency isn’t driven by choosing to take blissful spiritual action rather than fight against the dissolving old paradigm or those who’ve kept it going. Fighting against anything Creates resistance, and when you fight against representations of the old paradigm you actually strengthen their power. Exposure of the cabal is important, but widespread Love and unity bred amongst your populace is equally important and we ask you to ponder if your collective would be able to run your planet if the reins were given to you tomorrow. Ponder this as you continue along your sacred paths, and we’ll go for now with the expression that we’re always with you, forever offering Love and empathy. We’re emerging from a world of deceit and manipulation, where groups of people came together to dominate the world and reduce the population to peons or slaves. But the combined forces of the Company of Heaven and their Earth allies have defeated the plans of this Illuminati cabal and taken their power from them. The Pleiadian Council of Nine through Wes Annac warned us that a millennia of secrets would soon break open. Whistleblowers like Edward Snowden and others who come forth daily show that things have indeed broken open. “We ask you all to brace yourselves for the bursting open of a millennia of secrets. The revelations will indeed be pouring in one after another, and we are confident in stating that those of you who have already prepared yourselves and learned so much about the very subjects humanity is to be taught in the time ahead, will be able to both calm and inform those around you who may initially wish to panic or retreat back into the paradigm they feel comfortable within. The Arcturians through Sue Lie compared what came after to the way cockroaches scurry around when a light is turned on. Saul predicted that the illusion created by deceit and manipulation would crumble. “Signs of this are everywhere, as all that has been kept secret, hidden, and dark, is starting to be revealed, shocking many of you. And it is only the start. So much has been hidden by those who would keep you enslaved, enabling them to ‘justify’ wars – on drugs, illiteracy, aids, cancer, heart disease, poverty, unemployment, terror, etc. – which strengthen their positions of authority and privilege. No more! They tell us to respond to the darkness with love. Saul revealed that the light has induced us to take the collective decision to awaken from the sleep the planet’s controllers have kept us in. “Because of the divine field of Love enveloping the planet and because of its massive influence on humanity, your collective mind has now taken the decision to awaken and to dissolve the illusion with all its fear-oriented power structures. “That is why so much sensitive and secret information – which those in power and those beholden to them have taken so much trouble to keep hidden – is now being revealed by an ever-enlarging phalanx of whistle-blowers. This would not result in revolution and bloodshed, he tells us. He too encourages us to stay out of judgment and respond with love to the fall of the cabal. “The group which has for eons been controlling politics, religious organizations, and all the large multi-national corporations – which are all covertly and inextricably interlinked while remaining shrouded in the darkness of secrecy – have now lost that control. Its members are in severe disagreement with each other and are living in a state of dread and anxiety never before experienced by them, because they know that their identities, their agendas, and their innate corruption are about to be publicly exposed. “They will experience intense shame – self-imposed, of course – because they have known for a long time that their behavior was unconscionable, and yet they persisted in it. A new wave of transparency and openness will sweep through us in future, the Angels through Tazjima explain. “Humanity is, on a massive scale, turning towards Love and away from fear, and this is very easily seen when you observe the release of so many supposedly secret intelligence-agency files into the public domain. However this has its correlate on the individual level too. All of us will be sharing our deepest secrets. “On an individual level, we see people and organizations being confronted by their darkest secrets; the issues that they did not want to handle before and pushed away into their unconscious. As we have said previously, these secrets can no longer be kept secret. With the advent of social networks, the Internet and cellphones, it is nearly impossible to retain a media blackout; likewise, it is becoming increasing difficult for individuals, families and groups to keep secrets from the world and each other. The Arcturian Group reassure us that all of this is going according to plan even if we cannot see it. So there is no future for secrecy, deceit and manipulation in our world. 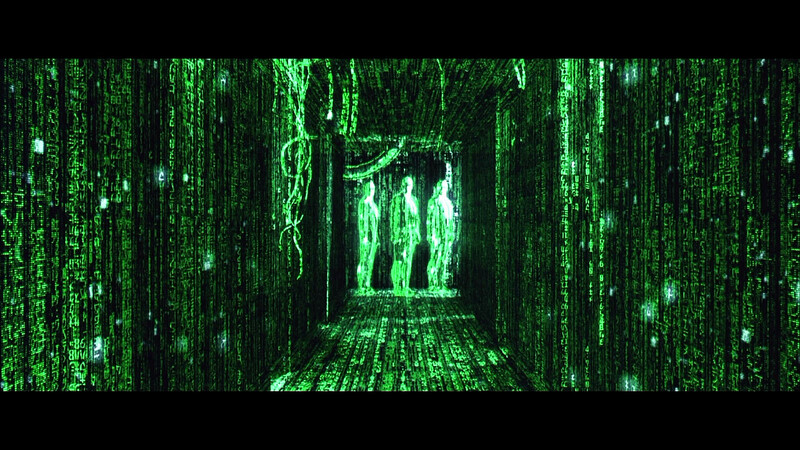 We know that higher-dimensional beings can read our thoughts so there is nothing hidden that will not be known. All of us – those who acted out of evil and those who acted out of ignorance – will have the contents of our minds bared and the more we practice transparency the easier this transition will be for us. (2) “Suzanne Lie and the Arcturians on Heavenly Blessings,” July 2, 2013, Part 1/3 at http://goldenageofgaia.com/2013/07/suzanne-lie-and-the-arcturians-on-heavenly-blessings-july-2-2013-part-13/. (4) “Suzanne Lie and the Arcturians on Heavenly Blessings,”ibid. (6) Saul, July 14, 2013. (8) Saul, June 2, 2013. (9) “A Message from the Angels: Embrace Your Real Self,” channeled through Tazjima, June 9, 2013 at http://bluedragonjournal.com. An invisible web of energy connects everything. 1986 – The United States Airforce confirmed the field exists. E.W. Silvertooth, “Special Relativity,” Nature, vol. 322 (August 1986): p. 590. If you could somehow take away all those memories and insert a whole new synthetic raft, people would arrange those to come to the same conclusion. And the same life. So it is with the world. People look out at it and decide, on some subterranean level, that the world dictates what degree of choice and power they possess. Put them in a different home, a different city, on a different planet, and they would eventually settle on the same assessment of their power: small. In that sense (and many others), memory and the world are constructs the individual ingests, arranges, and builds to suit and fortify his conception of his “geometry”: the shape of his life. In previous articles, I’ve been making clear how THE VOICE narrates the story of our times through television anchorage. The elite anchor is groomed to be able to induce a seamless hypnotic trance in viewers and make HIS voice THEIR voice. Your voice is the voice that destroys the narrative that has been sculpted for us. Your voice is the voice that rolls over the voice of the elite anchor and the other elite leaders who speak for us. When your voice become your VOICE, you connect with something oceanic that rips away false separations and false systems and false ideas and deserts of sand on which our fake reality is built. We pretend to be small. We pretend to be whispers. We pretend to be confused. We pretend to be creatures living inside the space of this deluded society. We pretend to be clueless. We pretend to have such limited power. We pretend that some overriding system or structure SUPERSEDES OUR OWN VOICE. We bow down to that system, and then we see what that does to our own power. It diminishes it. It makes our voice small. It makes our voice thin. It makes us into weaklings. It makes us walled off from each other, from THE REAL EACH OTHER. The real each other is each one of us with power, with A VOICE. The word “rant” is interesting to analyze. It originally referred to someone speaking in a completely unhinged way. Its recent online meaning was invented by tech heads, who adopt a “cool” attitude toward problems and answers. These cerebral types consider any outward display of passion or outrage to be a rant. For them, the “ranting voice” is suspect. Try this experiment. Find a piece of writing you love that expresses great passion and poetry. Read it out loud while you’re alone. Read it out loud 50 times over the course of a few days. Inject your own passion into the words. If you’re not already lying in a coffin, something unexpected will happen to you. You’ll find yourself coming alive in a larger way. You’ll experience glimpses of your VOICE. This has to do with BEING ALIVE. You’ll experience the absence of little structures and systems. Keep reading that passage over and over. Put everything you have into it. Don’t stint. Put more and more feeling into it. Then, watch the evening network news. Listen to the tone of the anchor. Pay attention to how he establishes a continuity. No matter how absurd you thought the evening news was, you’ll now comprehend that absurdity from an entirely new perspective. As you expand your own VOICE, and as you EXPRESS WHAT YOU TRULY WANT TO EXPRESS—-YOUR OWN THOUGHTS, YOUR OWN IDEAS, YOUR OWN FEELINGS, YOUR OWN INVENTIONS—you are cutting away layers of stagnant consciousness. Each one of those layers says: “reality is THIS.” Each layer has a different restrictive portrait of reality, and as it disintegrates and tumbles away into space, you become freer. A path to greater power, greater aliveness, greater empathy, greater engagement, greater self, greater community, greater wholeness. Your voice, not the anchor’s voice. The anchor’s voice operates on behalf of the established corrupt order, as a mesmerizing tool. Your VOICE liberates you and others. Many years ago, I was teaching a small class in a school in New York. The kids were all retreads from other schools, where they didn’t make it for a variety of reasons. They were in a constant state of distraction. Unteachable. So I picked a short passage from a poem by Dylan Thomas. A few lines. A few great lines. I had each student read the passage out loud. Then we all read it together. Then we went around and around with each child reading it again—I urged more feeling, more expression. It was like trying to break through an iron ceiling. Each kid read the lines in a monotone. It was eerie, as if they were all in a trance. But I kept going anyway. Then I said, “I’m going to read these lines like a newscaster would read them.” I gave a pretty good impression of an anchor. The kids cracked up. They thought it was very funny. They immediately grasped how ridiculous the anchor’s voice sounded trying to give feeling to poetry. The kids began reading those lines as if they were news anchors. They had a great time with it. That’s what broke the ice. Around and around we went. Each kid must have read those lines a dozen more times. They got into it. They shed their embarrassment. The VOICES that emerged that day in class convinced me that everyone has a VOICE, and it cuts through layers of conditioning like a knife through butter, once it’s unleashed. When we were done (I was reading the lines too), we all sat there and looked at each other in amazement. We knew. We knew we had cracked the egg. The spell of “flat reality” had been broken. We were all alive in a new way. The famous lines we read? Although the overall sentiment of that poem might appear to be a kind of futility, when we read the lines over and over, WE came to a different place. A place where we knew that our words COULD fork lightning. To be astonished by something you see on a screen is one thing. To be astonished by what your VOICE can establish is light years beyond that. Those of you who are awakening and beginning to feel the energies of your descending heavenly reality can take the inspiration you’re being given and work to motivate and activate as many awakening souls around you as possible, and we encourage you to encourage others without pushing your belief or ideology onto them. The cabal has indeed thrived off of the unawareness of the general public, and those of you who feel yourselves on a mission to awaken the planet can work as actively as anyone else in sowing awareness and spreading enlightenment to every soul around you who’s becoming aware. The Divine qualities can become much more prevalent and expressed in the Lives and experiences of each of you if you allow them and the understandings that can come with enacting them into your Lives. Not only do you have the ability to do so, you’re encouraged to do so in this and every moment. We ask you to recognize and honor your abilities, dear souls, because you have so much to Create and so much Love to sow and spread from the position you currently find yourselves in. As awakening energy workers who are discovering your potential to sow vast amounts of pure energy unto your planet, there’s much you can do in every moment in the way of utilizing an ability many of you are just beginning to remember you possess. I love this word! Synchronicity. I just love this word! Years ago when I was entering my metaphysical musings, I bought every book I could with the word ‘synchronicity’ in it. I wanted to know all I could about this word and having a passion for writing and words and the energy behind words, I was intrigued beyond explanation. I knew it was a pull my guides obviously had their hands in. Every book I purchased and read, led me to another book and another new idea to look into and research. I was intrigued over and over and started that even with the new awareness of this word, even the word being brought into my vocabulary, I started to notice my own synchronicities that were much too magical to write off. I believe that synchronicity is our own design and our own way to show ourselves we are the creators of all of this and we are setting ourselves up signposts along the way to catch our eye, to pull in the magical essence of energy and spirit. I also believe that in the higher realms, they operate purely on synchronicity and each moment is that of synchronistic design and leads to another and another and another and then you live in an incredible magical essence of synchronicity that is life. Life in any realm, and any species has probably less doubt, less fear, and less analytical mind-jabble that slows us humans down on the ascension ladder. We dissect and analyze to spiritual boredom and even to a point where we have forgotten that we came from spirit, we are spirit and our lives are in actual fact ‘magical’ in every sense of the word if we were not so astute at thinking out way out of the magical-ness of life. I believe that the history of man, going back some 100,000 of years (that few believe but will revealed at some point in our so called future) had the knowledge of how energy works to the level that they were able to heal by thought, create movement and technology with crystals and energy of the knowingness of the workings of the Universe. This I know. Others may call me crazy, but of this I don’t care. I know what I sense and what I am pulled to and absorb when I read and feel an utter connection with as if I am reading a book from a time that I once lived and I once knew oh so well. This much I know to be true is that our world, our peoples, is coming to a turning point. A point that a shift will occur and we will start to refer back to the ancient teachings and understandings of the real life of the sacred teachers and what they truly taught, not what we were told to believe. I am so excited about this coming awakening as we will be reconnecting with what we have always been. Spirit in waiting for the unfolding and unveiling of truth. Truth about who we are, where we came from, the real stories of our history, the real story and potential of where we will return to and bring the Gaia to. There is light in all things and there is always a return to love and goodness. Like in every good movie, there is a foretelling of ‘return to rightness.’ When all is accepted, all is appreciated and valued, and all are healthy, strong and worthy of love and light not just the wealthy few in power. This awakening is on its way and it occurs in each loving word spoken, each loving act acted, and every loving thought thought. For you do not have to create a book, or create a society, or club, you can start with a thought, with a transformation of yourself first. You can start small by acting big and grand. Change happens, change occurs when you first find the time to be in silence, connect with spirit and your soul’s calling. Change occurs when you find the depth of love for yourself that all realms have for us. Synchronicity is our way, the Universes way to show us our path is laid out. How we walk that path is our free will to create. Nothing is out of our hands. Nothing is unattainable and unsolvable. We are such powerful creators and we are ready to create greatness now. Each thought, each word, each act you do is a chance to create light. For light creates love, love is light and light is love. It is the only solution for our future to sustain us and it is our birthright. We are all one and we are deserving of a loving, healthy planet, we are deserving of non-toxic food and water, and we are worthy of and deserving of the knowledge to heal ourselves, to love ourselves, to reconnect with spirit that we were disconnected from thousands of years ago. The time for ignorance is at an end. The financial chaos and disillusions is occurring because new ways are in the waiting to be opened up for higher ideals, higher and more ethical solutions where all peoples are benefited and we are all living as ONE. We may all be of unique genetics, colour, and race, religion or planet, but of this I know, we are all ONE HEART! Creation was perfect in its designing us in this way. There must be a single similarity to bind us in oneness and create the thread that will bring us together again. So my lovely and grand friends, so dear and so powerful, I ask for you to watch the magical synchronicities that float to you and write them down and pay them honour and the time to relish within. As you have created these to allow you to see how powerful you are. To take pleasure in living again and watching the magic that is your life unfold as it should for this is how you designed to be. From the higher realms and from your higher self, it is waiting for you to reconnect and pick up where you knew you would. There is no separation and no feelings of lonely when we are one with our spirit selves, and our souls. When we know of our multidimensionality and our greater more grander selves, the greater aspect of all that we are and only then can we understand who we always have been and who are remembering ourselves to be. So dear friends, pay attention and give note to all those moments, situations, circumstances, before you write them off. It is your design to take heed its call for it is specifically for you. You are the creator and you have the ability to create CHANGE, for change and evolution is one of the sacred laws of the Universe and it is paramount that we have total control of which direction and what change we create. We have the power to create wonders and miracles. We have the power to create such grandeur and unexplainable healings. This is our path and it is one we must walk and make many years of false judgements and dark decisions right. This is a path we were strong enough to complete and we are ever so up for this challenge. It is the path of few but for the ones that feel there is no other way than way of light and love. Allow your synchronicity to light your way. Follow your joy, follow your bliss and allow yourself to shine so brightly that you shine a path for others just awakening. The symbols, signs, clues are all around you. They are always hinting and pulling you in to seek more, seek higher ground. Answer the questions within through the magical play of synchronicity. It is the way of the angelic realm and it is their natural language of life. It is time to play! May synchronicity allow you to know you are spirit in a time of great excitement and challenge and you are worthy of being a part of the path to higher ground! Hudes, who is also a whistleblower, charges, “There is fraud and corruption from top to bottom in the financial system.” As far as global central banks are concerned (including the Fed), Hudes claims, “The central bankers have a scam going on. It’s a Ponzi scheme. The citizens of the world are paying interest on their currencies. These currencies are not being issued by the governments; they are being issued by private bankers.” Don’t give up hope because Hudes says, “The U.S. has to come around to the rule of law. . . . and we are on track with a 95% likelihood, and that is why I think the dollar is not going to tank.” Join Greg Hunter as he goes One-on-One with whistleblower and former Senior Counsel for the World Bank, Karen Hudes. Karen Hudes ~ ‘Dollar Valueless, About To Crash’ ~~ The US government shutdown – a temporary ailment or a symptom of a grave disease? 5-MeO-DMT was the compound responsible for both my own spiritual awakening, my renewed interest in psychedelics, and for my subsequent sustained investigation into the endogenous entheogens. In an effort to keep track of my thoughts in the period after my original transpersonal mystical experience on 5-MeO-DMT in 2003, and with little thought or hope of publication, I wrote the original version(s) of Tryptamine Palace for the population of Burning Man (where I knew it would find an interested audience) and gifted it as a book on the ‘playa’ in 2006 and 2007 to my fellow ‘Burners’. (As far as I know this was the first book written for and gifted at Burning Man.) Encouraged by the reception at Burning Man, I was preparing the book for self-publication (with the help of EROWID’sJon Hanna) when I sent 2 copies of the original BM versions to 2 different publishers just so I could get used to getting rejected. To my great surprise the respected meta-physical publisher Inner Traditions actually accepted Tryptamine Palace for publication, and after considerable further effort (and infinite patience from my suffering editors) was published world-wide in 2009. Tryptamine Palace is the first major book written specifically about 5-MeO-DMT and contains numerous detailed descriptions of 5-MeO-DMT’s unique brand of (what Alex Grey calls) ‘experimental mysticism’. By attempting to describe the impossibly intense and paradoxically fleeting “5-MeO-DMT experience,” (Hereafter abbreviated at points within this book as “5MDE.”) I am now moving onto purely subjective ground. I must stress that the chronology that I provide here is only my personal interpretation of my experiences on 5-MeO-DMT, gleaned from my own experimentation. And so while the following information is taken from “the front lines,” so to speak, it cannot be overstated that every individual’s experience is unique. And so what happens to me when I smoke 5-MeO-DMT will not necessarily happen to you, if you choose to smoke it. 1. I fully inhale the smoke, generally holding on until my vision of the physical surroundings has begun to break into fractals, and then I exhale. Virtually immediately upon exhalation, my vision experiences a field of light-fractals. My mind then dissolves into white light, and the vision of my eyes is no longer relevant (or at least no longer recognizes my physical environment). This white light—which blazes with the focused intensity of a laser and which is both whiter-than-white, yet also sparkling with brilliant color—may be the crux of the experience. The first time I smoked 5-MeO-DMT, the only instruction I was given by the friend who provided it to me was to stay in this light for as long as possible. 2. At this point a variety of inner phenomena can appear. Some people report seeing protector spirits (animals or angels), while others describe communicating directly with the light. In some of my early journeys, I walked across plains of stars and talked with a Goddess who appeared in a blend of changing forms, some familiar, some archetypical, and I remember she laughed and treated me like a child. Whoever is in charge in that dimension, they know to keep it simple when we visit there; we are children compared to them, and they teach us things in the slow methodical way any good teacher does, one simple lesson at a time. Love. That is all you need to know. I am Love. After that experience, I stopped asking questions. 3. In this tunnel of light I relive all the experiences in my life in an instant. Your whole life flashes before you like the wave of a hand – the passage of time is like a game here. All the people I have known and loved surround me as I become a part of them and they become a part of me as I expand out of my form towards realization. 4. Everything that has come before in my life seems to have led to this point, to this moment. There is no sense of time. I am somehow splitting, growing, spreading outwards, and becoming a part of everything. I am permutating and connecting with the entire universe from within my very being. As I expand out and integrate into the happy multitudes and the universe beyond them, then my ego/identity begins to dissolve as the realization dawns that I am returning to the Source from where everything came. Looking around, in a dimension without time or space, I recognize everything and everyone as One, as the embodiment of all those beings who I have managed to love the most unconditionally. There is a definite feeling, that to go past this point, I have to relax, believe, and somehow, let go. At this point I have also heard a sound —and this is another experience commonly reported by tryptamine smokers—which grows to become the most incredible, all-encompassing note. It is pure other-worldly angel music, which I can only describe with the word Aum (or Om). The primordial noise. The logos. The original sound of creation. A transcendental note that I effortlessly dissolve into. An infinite pulsating field of intelligent energy that all physical forms manifest from, and into which one day everything shall return: an all-encompassing brilliant bejeweled light of Love. The Godhead, the Supreme Mystery, the Conscious Infinity, the Pure Light, Brahman, Yahweh, whatever you wish to call it—it is the Unnamable Name, and yet paradoxically it is also the Creation Principle—and yet I recognize It. I know that It is real, that I am a part of It, and that in this moment I am able to return to It, like the Sufi ‘moth to the flame’. Resonating as one with my G/d and now having ceased to exist other than as a part of that divinity, all I have to do is breathe to feel the waves of omniscient energy radiate in and out of my ocean of bliss. My friends, my lovers, my life, my species, my world, —we are all One and we are all part of G/d. Atman (individual consciousness) and Brahman (universal consciousness) as One. There is no way to differentiate between anything: I am lost in waves of an awestruck ecstasy that cannot be described, an ego-less bliss. Rudolf Otto’s mysterium tremendum et fascinans is revealed within the singular realization of the true nature of my G/d: that G/d paradoxically resides both without and within. Physically, I believe this is when I go into the quietest part of my journey—I’m generally peacefully lying down and saying nothing. I am only in this indescribable cosmic resonance for a few short minutes, ten or fifteen at the most, but it makes no difference to me, since I no longer have any concept of time, and its passage could just as easily be considered infinite. This is the period of an intense singularity for some: the white-out (as it is sometimes called), a total dissolution. It is my belief that my consciousness exists during this state in resonance with a realm that is actually beyond ordinary human comprehension. Freed of the matter of my body, my consciousness is able to function in a manner that it can’t understand, or barely even remember, once it has returned to the limitations of its corporeal form. I believe that what I have been experiencing is the universal state of consciousness before the knowledge of ego and self, a state of undifferentiated ‘Cosmic Consciousness’ that historically William James has described as ‘Absolute Consciousness’, that Aldous Huxley called “Mind (with a capital M)”, and what is now commonly known amongst the entheogenic community as “God Consciousness.” Me, I just call it G/d for short. Which is a very clinical way of describing what has historically proven to be the most important and awe-inspiring force upon the development of humankind: our ability to achieve some kind of mystical resonance with this G/d; the subsequent realization that the source of this G/d lies within; and the energy and inspiration that this realization has subsequently released into our human society. “I” begins to think: “I must have an identity? How long has this been going on? What is going on here? How is this possible? I must exist! Something really weird is happening here…” From the moment that I recognize that the experience can be recognized, instead of simply being in the experience—then my ego-based identity begins to assert itself, and suddenly it is way, way, too much. I struggle to remember a beginning, a start to “my” own existence – and with this search comes the terror, followed by an abrupt departure from this indescribable state of grace. 6. “You have smoked 5-MeO-DMT,” I usually hear a voice say. And then the remembering pours back in a tellurian wave as my being inexorably flows from a dimension without matter or time back into this physical one. My vision suddenly focuses – I can see bizarrely for a moment between the two worlds, seemingly vibrating in both of them at once – before I am suddenly dropped disorientated back into an awe-struck heap on the floor. The time between remembering that I exist and then reentering my body is terrifyingly quick and very disorientating, and I think that this specific period is often what people remember from their own experiences. This is especially the case on the first time, and/or if they have smoked too much (which can be easy to do). There is a razor-fine line between smoking enough 5-MeO-DMT to fully experience its out-of-body wonders, and smoking too much, which results in the participant remembering little or nothing of the experience: an often bizarrely terrifying ‘white hole’. And to further complicate the issue, every person will have his or her own ideal dosage, which takes some experimentation to determine. (This will require owning a gem scale capable of measuring within plus/minus 2 mg to do so accurately.) If you are one of the rare breeds who have the desire to smoke 5-MeO-DMT regularly, then I recommend that you consistently reduce your dosage until you find the minimum required for release, as this is where you will have the best chance of remembering the largest amount of the experience. I believe that too much happens in too short of a time to really have a chance of remembering it all, but some people do emerge with remarkably coherent accounts of their experiences. 7. Now I am fully back in this reality and over-awed by the sheer POWER that I have just experienced, the remnants of which still pulsate through my trembling body. For the following ten or fifteen minutes I am technically still feeling the effects of the 5-MeO-DMT, but my descent back to ground zero is quick. I am usually fairly ecstatic during this period, my eyes filled with wildfire, and I can laugh great whooping belly laughs, deeper than I have ever laughed before. It’s a cosmic laughter at this on-going humor we call life and the unbelievable joke that I have been let in on. Although these days I prefer to smoke 5-MeO-DMT alone, this period is a good time for witnesses to ask what I have seen and experienced. I will respond with great authority on a variety of subjects—as if channeling from some higher force—only to have no memory of my statements thirty to sixty minutes later. The overwhelming sensation that accompanies this phase, even now after years, is that I still have no clue of the depth and breadth of the power of the substance I am so blindly imbibing, and that I should strive to treat the 5MDE with sacred respect. Forty-five minutes to an hour later, I am completely “straight” (and usually looking for ice cream). All chemical traces of the tryptamine have disappeared from my brain and I am physically free of its influence. Except now, having experienced a full out-of-body mystical experience, my world and my paradigm can never be the same again. 1. Dissolution into fractals of light upon exhalation of the 5-MeO-DMT. 2. Transportation via rapid acceleration into the coherent white light. 3. The subsequent recognition of the unity of All, and that Love is the principle that organizes the universe. 4. Complete dissolution from ego/identity and any concept of time, as I dissolve into resonance with the One; with G/d. (William James “Absolute consciousness”). 5. Fear from disorientation caused by transitioning back into a restricted consciousness, caused by the return of “my” ego. 6. An abrupt repossession of my physical body as the last effects of the 5-MeO-DMT fade away. 7. A period of fading resonance between physical consciousness (consciousness with a small letter “c”) and G/d consciousness (Mind with a capital “M”), as I return completely my normal “baseline” state. 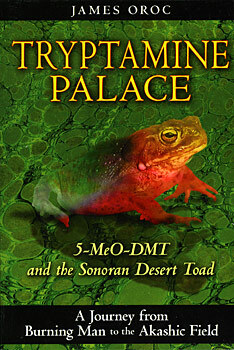 ~ James Oroc, Tryptamine Palace: 5-MeO-DMT and the Sonoran Desert Toad. (2009). “Your heart is your compass to follow. Your Heart Chakra is a midway station that translates the energetic information you are receiving from all of your chakras. There are three chakras below it and three chakras above it in your personal chakra system and these chakras are all connected via your central channel of your Sushumna and the polar energy channels of your Ida and Pingala. While it may seem logical that information is best perceived in your higher chakras that are near your head – the heart is the chakra which translates information from physical to emotional and psychic and vice versa. It is this translation process which makes sense of energies that your body and mind cannot fully comprehend. That is because energy is understood the best through feeling – everything else is a translation of feeling into these higher and lower chakras. If you want to know what is going on with yourself, a situation or information you need only go inward and feel your heart. The heart doesn’t just feel – it knows. To know, you must feel. This is finding your own truth. This is why it is recommended that you constantly center yourself in your heart chakra. Likewise, the next midway station in your trans-personal chakra system would be your Solar Chakra which is why there is a strong emphasis on aligning with your Higher Self, since the Solar Chakra is connected to this aspect of yourself. The Solar Chakra has two cosmic chakras (Universal and Galactic) above it and two resident chakras beneath it (Lunar and Planetary). The Solar Chakra translates information from higher and lower realms just as your Solar Deity Sol transmits and receives vast amounts of information from cosmic regions and transmits them to your planet while recording information about your planet and sending it out into the cosmos. Likewise, your Higher Self is the midway station between the universal mind of Great Spirit and your individual perception of self as a singular soul upon your planet. Though many teachings have referred to another chakra above your heart and call it your “Higher Heart”, perhaps you should consider that perhaps your Solar Chakra is your Higher Heart. Perhaps your Higher Heart is your Higher Self. Perhaps there’s lost meaning behind what is now seen as “Sun Worship” by the ancients, and why those who sun-gaze properly receive great benefits. Your Sun is a the perfect symbol of the Heart Chakra in perfect balance and health. It gives its light freely without asking for anything in return. It gives your whole planet life. It is the most brilliant source of natural light that you currently experience and interact with in this time on a personal daily basis.